I’ve always been suspicious of federations, member’s clubs, trusts and so forth. The first thoughts that spring to mind of such ‘official’ bodies are bureaucracy, pomp, posturing…and in short, not getting much done. After setting up My Old Man Said on an ethos of ‘doing’ and ‘action’ rather than just moaning about things, I looked around at the national bodies that existed out there that help represent supporters. The one that stuck out was the Football Supporters Federation. They were a pleasant big surprise. They stood up for supporters, defending them against banning orders and representing them in courts, and tackled and promoted national supporter issues in a head-on and common sense fashion. In short, they had football supporter’s backs. After MOMS became a member of the FSF (two years ago), I met with one of their key staff in London for a couple of hours. We were completely on the same page and ever since, it’s been a pleasure to be a member and operating with people on the same wavelength. They’ve been on the frontline of lobbying clubs and the Premier League about the cost of football, away ticket prices and safe standing. The big news is they are making good progress too with various away fan pricing schemes happening and the safe standing debate increasingly in the public eye. Now more than ever, supporters need representation and to come together to safeguard the game from the money men and the inherent greed increasingly involved in the industry of football. Another level of such representation exists at club level in the form of supporter trusts. Supporter trusts across all the football leagues have done some great work already. At a lower league level they’ve saved their clubs existence – from Lewes FC, which is fan owned to the fairytale success story of Swansea, whose fans helped save the club from extinction and then led them up to the Premier League. Another great example is the Liverpool Supporters Union – The Spirit of Shankly, who have been instrumental in getting justice for the fallen Hillsborough 96, as well as leading the campaign against rising ticket prices. Such trusts build a sense of community amongst supporters; where you have folk from all walks of life and skills bonding together in the name of one thing – the good of their football club. The Aston Villa Supporters Trust has for the past few years, largely been laying dormant. But why? After all, we’ve had a few wolves at our door in recent times. From the spectre of Deadly Doug to the incredulous appointment of Alex McLeish. When such issues raised their head, we were too weak and disunited as supporters to resist. And we wonder why it always happens to us. If other clubs can present a united supporter front, why can’t us Villans? 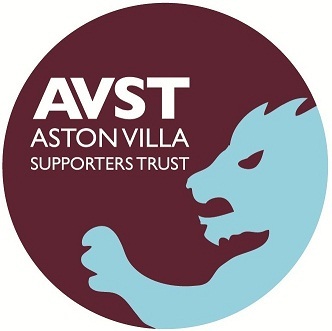 While some first rate Villa supporters have been members since the Villa Trust’s existence over a decade ago, over the last couple of years it has lost a little momentum and focus. Some people have pointed the finger and said it was a closed club, but perhaps it was more an issue of awareness? After all, any Villa supporter can join it. The trust though has done some stellar work already. Their crowning achievement in being the driving force behind the beautiful William McGregor statue you now see outside Villa Park. They have always upheld the ‘proud history’ side of the Villa legacy in also funding the restoration of McGregor’s grave in what was a poignant and symbolic gesture of a club’s supporters looking after their own. You just have to look at all of our efforts in supporting Stiliyan Petrov over the past year for evidence that this is something Villa supporters have in their blood. Now though, without getting too Michael Jackson ‘We Are the World’, it’s perhaps time these Villan values are used to help us become the force we know we can be and do our bit in building a ‘bright future’ and getting this club sitting back at the top table of Premier League teams again. Two weeks ago, the Aston Villa Supporters Trust had an AGM at Villa Park to relaunch. New directors were voted in (of which I am one) and the good news is we all got on very well indeed and are up for the challenge. Before the AGM, there was an informal questioning of Villa’s Paul Faulkner (CEO) and Robin Russell (CFO) with other Villa staff in attendance. While this was an off-the-record meeting (the Trust will soon announce a brief overview of the subject matter) , the encouraging thing was the underlining theme of the questioning was supporter concern over the club’s overall ambition. All the Villa supporters present were on the same page and were quite frank in their questioning – we even popped the question of the board not having a ‘footballing man’ in their ranks. Amongst other things, we talked about the O’Neill years chasing Champions League, it’s fallout effects on Villa’s ambition now (naturally, it has made the club a little more cautious), comparisons to teams like Spurs, stadium development, and the club’s financial position (which seems fine). In the informal environment, Faulkner to his credit, was open and we got a decent enough insight into the main man we are dealing with. While supporters understandably may have reservations about him and the board, you couldn’t fault his enthusiasm and pride in the club He’s not in an ivory tower and is certainly somebody we can work with. We are lucky in that respect, compared to other clubs – just ask any Newcastle fans, for example. Whether he’s the right man for the job though, time will tell. It is a results business after all. There was a social media spin-off from the meeting. On forums, Facebook and Twitter, certain supporters were suspicious that it was a secret meeting because Faulkner had asked for it to be ‘off the record’. This is perfectly normal for ‘business discussions’ and leads to an openness that facilitates trust and straight-talking. If it was a staged Q&A, questions would be dodged and no proper insight would have been gotten by supporters. Basically, it cuts out the bulls**t. I for one, wouldn’t have turned up for any such a PR exercise. Any supporter who wanted to go to the meeting, could have and will be able to in the future. To be frank, some of the people bemoaning such a meeting were being naive and came across on the internet like keyboard Hilda Ogden’s from Coronation Street, hair in curlers, busy-bodying and moaning away at whatever the topic of the day is. If you have something constructive to say, turn up and say it. Through the Trust, there is an actual avenue for constructive discussion with the club to make the changes we may all deem necessary as supporters of Aston Villa. 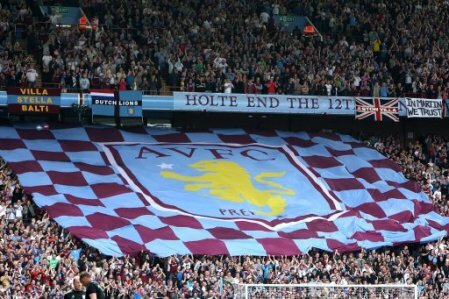 The primary function of the Aston Villa Supporters Trust should be that it can act like an umbrella to work under for all Villa supporters, groups, websites, Facebook pages, fanzines and Lion’s clubs, to united their voice, whether it be on club issues or national football supporter issues. Size matters, so we obviously need to beef it up. It’s not hard to be part of the trust, be kept informed and contribute to discussions on the way forward. Follow the Trust on Facebook and Twitter, sign-up for free membership here, or better still, sign up as a paid member (only £5) to vote at meetings and have a stake in the trust. Isn’t this just another case of the ‘board’ playing their silly games of ‘listening’ just to placate fans? They can listen all they like but it’s action we want and there is no sign what so ever of that is there? Nice try but I want to see this shower actually ‘walk the talk’ not just hand out worthless platitudes. I just signed up! But does anyone know when I will get my membership details?